She may not have stolen everything, but she knowingly took art without consent, edited it, removed authors signatures, and made no attempt to ask for permission before doing any of that. If someone wants to make/use signatures using artwork that they have the rights to use then by all means, go ahead. But if you don't have the right to use something then don't (and if you are chopping off an artists signature, you can be pretty sure you are in the wrong)! Many artists draw stuff out of passion for the game, sometimes they are commissioned to draw pieces and some artists live off the money (often much less than they deserve IMO) that they get for their amazing work. To steal credit from these artists is unacceptable. If BunnyLove wants to create a new account and is willing to follow the rules then that's okay, as long as any signatures are created with their owners consent as I have mentioned. Himmel and Brenner like this. I'm just saying I don't see any of u taking time outta ur day to create these sigs for the community. And I'm pretty sure she didn't say oh yeah let me steal this. She probably just searched for images like I do. Because as artists, we use places like DeviantArt and Tumblr and other venues to showcase our works - either personal or commissioned. And those works are not for you nor anyone to use to take. In this particular case, I know three of my pictures were chopped up and manipulated for the use of other people - without my consent. That would be like me strolling around your home and taking photographs of your belongings and then say all these things belong to me. Artists can work anywhere from two to twenty hours on a piece. It's painful to see someone swipe it out from under us just to make some half-assed signature in a mere twenty minutes. In this case, it's someone trying to sell off artists' work like a street-corner scam artist sells fake Rolexs. Now I have to put hideous watermarks over all my work. I don't expect non-artist people to understand, and judging from the post this thread has already received since then, some of you really don't appreciate what it takes to be an artist, nor respect them. Brenner and Voison like this. Yikes... People need to chill. Brenner and Himmel like this. Talk about entitled. No one is required to make you a signature, and artists are not required to magically be 'okay' with having their artwork ripped and manipulated to serve someone else's purpose. Creating signatures using artwork without permission is not providing a service to the community - especially considering that all of those signatures are now going to be taken down. Could've been avoided if permission had been acquired first. S'all I'm sayin'. Also, it takes like ten minutes to use google image search and figure out where the image you want to use came from. You don't have to be a mastermind hacker to trace something to its source and figure out if it's free to use or not. Brenner, Voison and Himmel like this. He is an artist himself, he got awesome WS art pieces, which are (mis)used by people on a regular base. Well she did agree on the terms/rules when entering this site didn't she? Should be enough, and since this community is full with most of those artists I can see how they immediatly take it down without warning! ...And just before she got to mine. Well that's unfortunate. I just found out that my art was ripped off. I gave no consent for anyone but the commissioner to alter the picture. My signature was even removed. Also going to post the original picture for the one she did for Thanos. I can't find the altered ones. Someone found them via tumblr. The first one used in the post above was for someone named Naut? And the picture below was altered for a character named Thanos. Note that I did not give permission for BunnyLove to alter these pictures. well I'm keeping mine for offic forum unless you have some legal copyright claim on it, i bet most of us download there copy of sig to there pc. 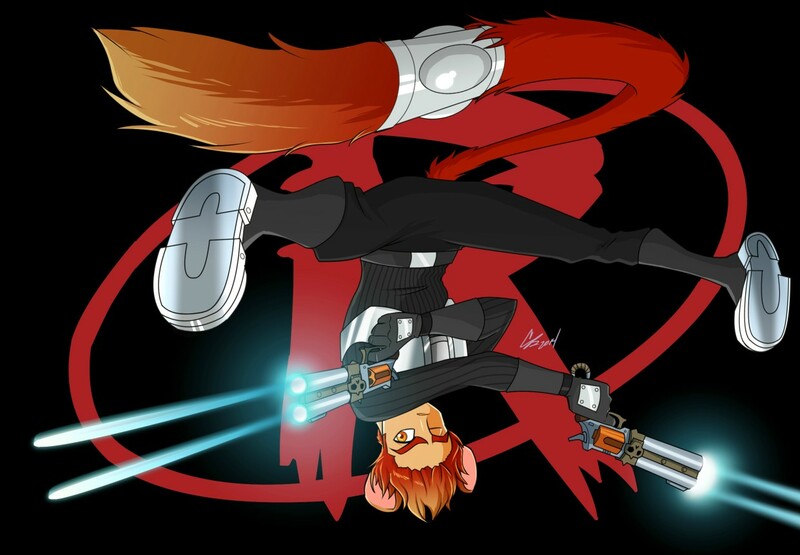 I love the one Sendlor has, going to do similar one using picture from some Wildstar wallpaper or screenshot. I do have copyrights to my art if that's what you mean. I do not own photoshop, nor do I have the time right now to take commissions. The amount of entitlement in here is staggering. They took the time out of their day to make the original art! No one owes the community anything just because you want a fancy signature. Finding an image somewhere doesn't mean you own it. It has nothing to do with being "friendly" and everything to do with someone's hard work being re-branded and chopped up as someone else's. It's insulting and dishonest. Uh, most of these artists DO have copyrights on their work, or can EASILY obtain them. Do you people not get how art works? They don't crank out these pieces in a couple of minutes. Fully finished pieces can take hours upon hours of work. Not only the hours of work on the piece itself, but the experience and practice that goes into it has to be taken into account, too. Art classes, time, stress, tools, equipment, software. All that is behind the work you so blithely steal. Can't you see how disheartening it is? Just attempt to conceptualize that. Please. Anything created prior to March 1, 1989 must have a © notice on it for copyright to be enforceable. However, anything made after March 1, 1989—which should include all WildStar-themed artwork—is subject to a sort of implicit copyright. The original creator owns copyright, whether or not a © notice appears anywhere on the work. Adding the notice is considered professional, and many still do. You will in fact notice that, for instance, the original artwork of Himmel has an automated "©2014 pyra-gs-mugetsu" notice on the DeviantArt page, since it's set to "all rights reserved" rather than "creative commons". Each day, people post vast quantities of creative material on the Internet — material that is available for downloading by anyone who has the right computer equipment. Because the information is stored somewhere on an Internet server, it is fixed in a tangible medium and potentially qualifies for copyright protection. Whether it does, in fact, qualify depends on other factors that you would have no way of knowing about, such as when the work was first published (which affects the need for a copyright notice), whether the copyright in the work has been renewed (for works published before 1978), whether the work is a work made for hire (which affects the length of the copyright) and whether the copyright owner intends to dedicate the work to the public domain. If you want to download the material for use in your own work, you should be cautious. It’s best to track down the author of the material and ask for permission. Generally, you can claim a fair use right for using a very small portion of text for commentary, scholarship or smilar purposes. The above is specifically meant for text, but much of it applies to photography, artwork and other things. This is why artists often end up putting watermarks on their images; you'll notice (if you go to the link to the original medic image, above) that Pyra has turned the DeviantArt watermarks back on after this most recent event, to make the images harder for people to just grab. In general, always ask first. Maybe they say yes, maybe they say no. Maybe they say, "I did that image for someone else, for money, so the rights aren't mine to give away; you should ask <X> instead." In any case, there's no hard feelings then. And again, keep in mind: most of them take commissions, and would probably be happy to do artwork of your specific character for you. Sure, some may have waiting lists ("I won't have time to take new commissions until July" or whatever), but you can still make a note of the prices and when they'll be open again, and put in a commission when they are with the artist whose style you like most. Then you have artwork no one else has, of your individual character, unique to you! You get art, they get money to compensate them for the hours of work that goes into the art, everyone's happy. Aristora and Dist like this. I created a new account to say my peace. First, I'd like to apologize formally to the artists. I truly didn't realize some of these works were commissioned and that the work wasn't available to the Wildstar community for use in personal signatures. I realize the effort it takes to draw these amazing pieces and I was never taking credit for drawing them myself. Never once did I say..."Hey! I drew this for you and placed it in this awesome signature just for you!". I never took payment for these signatures and I was truly only trying to provide fun signatures for people in this community. Second, I didn't "hack" up images to use in these signatures. I never removed signatures and most of the images I found through internet searches were already in vector form or had been pulled from the original artwork so I didn't get to see them in the artists "original" posted form. Many of these were already vectored to remove whatever the artist may have included with the image. People also linked images for me to use in their signature. I wasn't the only one pulling art from the internet. Many of the signatures I made were to the direct specifications of the people I created them for, using the images they provided to me (and it took more than 20 minutes to "slap them together"). Don't yell at those people either, I'm sure they were completely unaware as well. 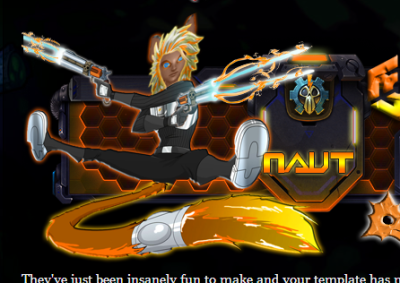 Looking through the community (and other unrelated Wildstar communities) people use all kinds of images online for their Avatar pics...so if you are going to go all out and start screaming about the signatures...don't forget the Avatars! Third, all the yelling. I'd like to tell all of you that have some serious anger issues to calm down. Not once did anyone ever say to me, "Hey BunnyLove, I don't know if you know this, but using Wildstar images not from the main Wildstar site is a no-no and you need to redo the signatures that contain work not posted by officially by Wildstar". Do you know how easy that would have been? I can modify Wildstar characters to look different ways if I knew I had to do it that way. Easy-peazy, no problems and you wouldn't have had to have this giant forum scream fest. I am a wonderful person with feelings and I do wonderful things for my friends and family and complete strangers. I'm a big help in game, crafting things for people without taking any mats in return, and I really thought people were enjoying the signatures and didn't know I was doing anything wrong. If I had, don't you think I wouldn't have been posting all of this stuff publicly for people to see? I also wouldn't have been promoting the Guild I'm in and giving my contact info away so freely. I'm an easy person to get a hold of and one email would have been plenty for me to say "OH no! I have to redo these now" and then redo them. Simple as that. Fourth, because I am an easy person to get a hold of, i'd like to thank all of the people that stood up for me in the forums and that sent me supportive messages through my guild site and through my email. For every negative comment posted to this thread I received 3 supportive comments and that was really nice of you guys. I have never participated in forums before, but my guild requires us to stay active in our guild forums, and I found that by doing these signatures for people it was a great way to stay involved and have a reason to participate rather than just posting for the sake of posting. I will never and have never treated a person the way some of you treated me. It was completely uncalled for, and even though the internet provides a certain amount of anonymity, everyone in here is a person and you should think before you type. If someone breaks the rules or does something you don't agree with, let them know before you turn them into some sort of online pariah. The signatures were supposed to be a simple fun way to show love for the WIldstar game and represent your personality. 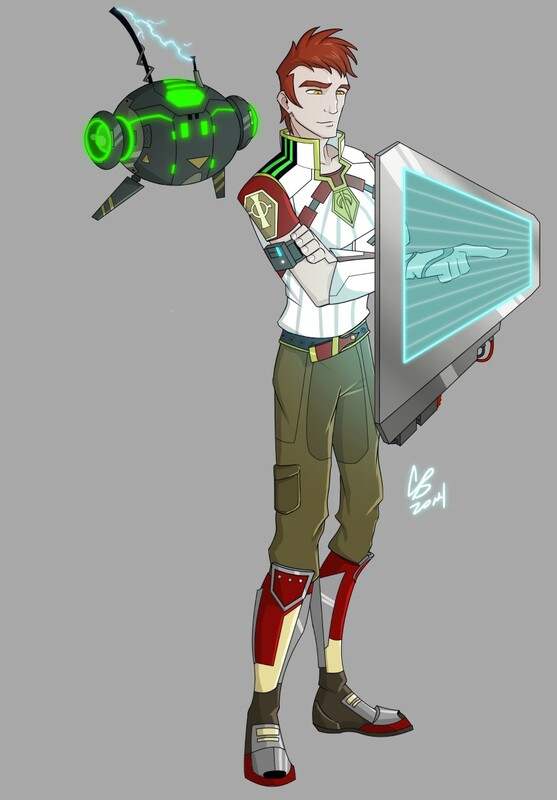 Almost all of the sigs I made came from official WIldstar images, but those of you that have other artwork used, let me know and i'll swap out the character and as always, anything I make can be used by anyone in the wildstar community. Boltonsquad, Rai, Maeglin and 4 others like this.